Gorgeous day for a run! 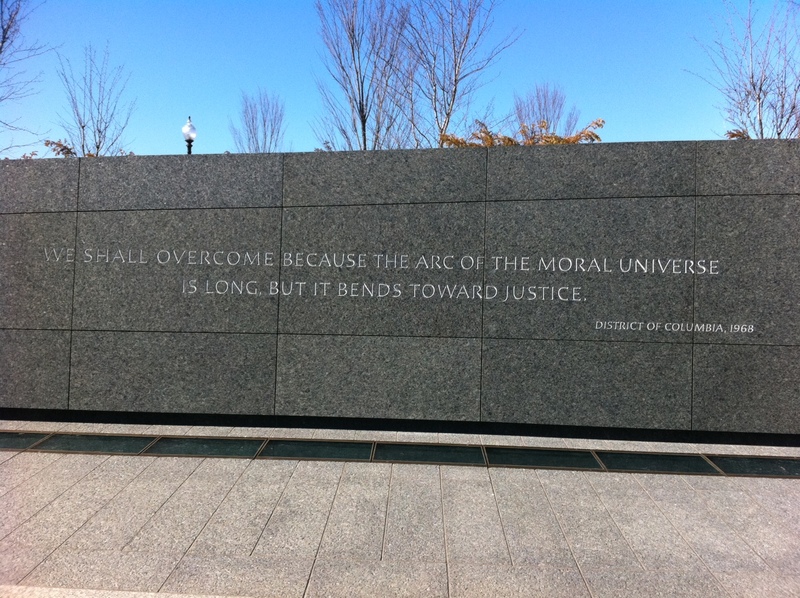 To commemorate the birthday of Dr. Martin Luther King, Jr., I decided to run to the new memorial honoring him, located just off the National Mall on Independence Ave., in Washington, D.C. I mapped out a nearly 7 mile course, starting/ending at the Marine Corps War Memorial (aka Iwo Jima Memorial) in the Rosslyn section of Arlington, VA. The run took me down the Mt. Vernon Trail, over the 14th Street Bridge, and around the Tidal Basin. 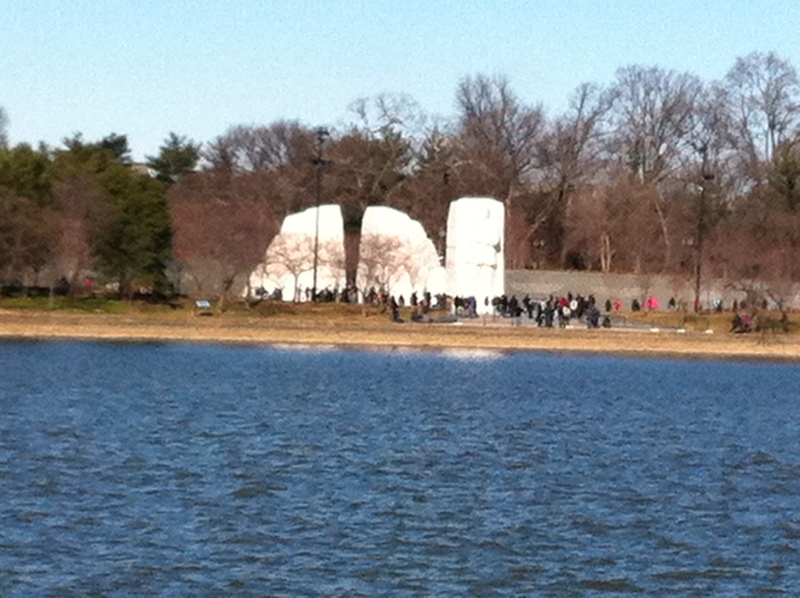 The view from the FDR Memorial shows the crowds. Parking looked like it was nearly impossible around site, so if you’re not up to running my course, I’d suggest metro-ing to the Arlington Cemetery Metro Station and walking across Memorial Bridge. If you can’t make it in to Washington, D.C. for a run, but would like to learn more about the memorial, you can find the official webpage here. 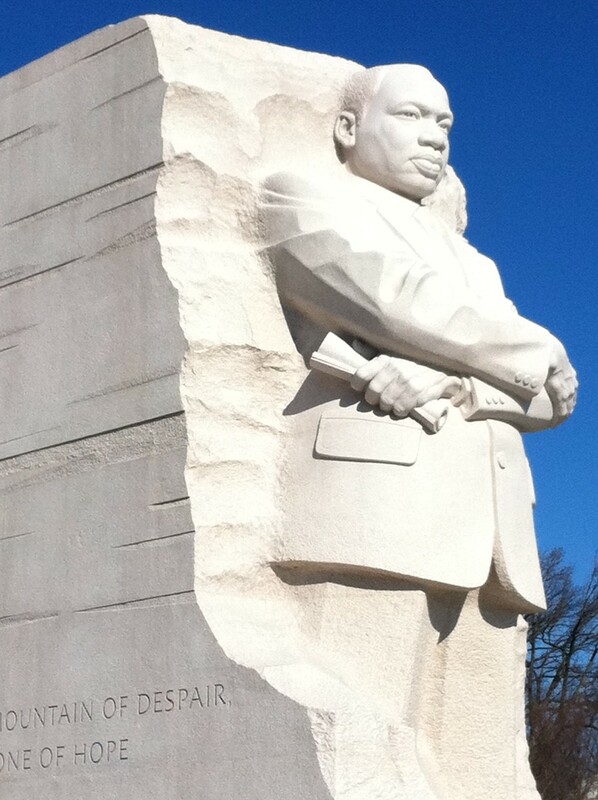 A word of caution for runners: The trail around the Tidal Basin was very icy this morning, so if you do head out to visit the MLK Memorial, take care as you run near the water. Good on you – it was a chilly today! What a great idea! I probably could run from my office. I’d do it! But wait for a clear day. The trail around the Basin is a bit rough, especially when wet!